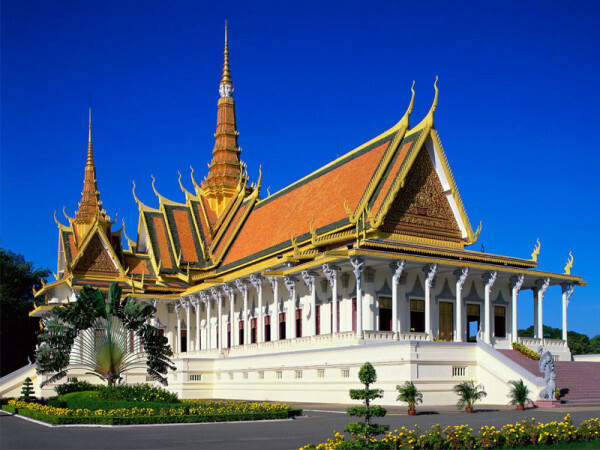 Situated on the site of the former Citadel, it was built by King Norodom in 1866 on the banks of the Mekong River. 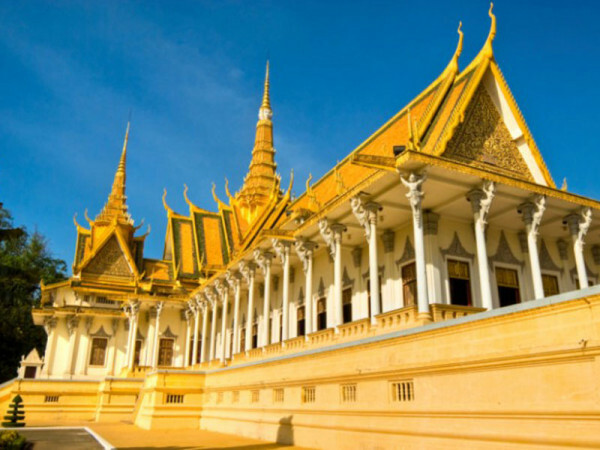 Inside its gleaming yellow walls are the Throne Hall; the Chan Chaya Pavilion, specially made for performances of classical Cambodian dance; the Napoleon III Pavilion, offered to King Norodom by Queen Eugenie, wife of Napoleon III, and the King’s and Queen’s residential quarters. 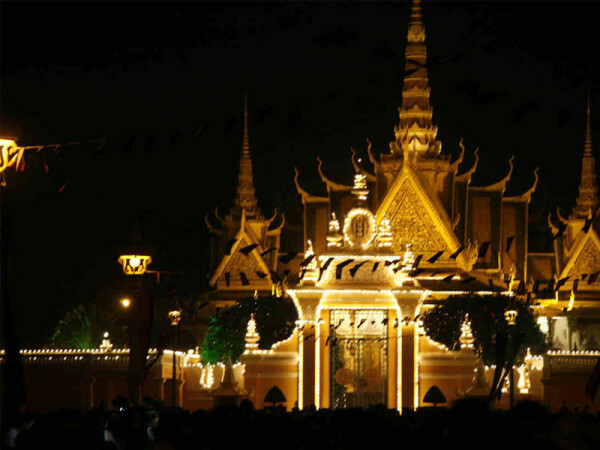 Nowadays, only the Silver Pagoda can be visited. 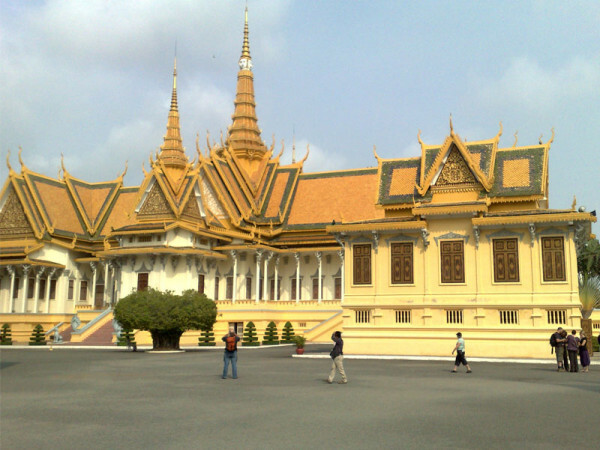 The establishment of the Royal Palace at Phnom Penh in 1866 is a comparatively recent event in the history of the Khmer and Cambodia. The seat of Khmer power in the region rested at or near Angkor north of the Great Tonle Sap Lake from 802 AD until the early 15th century. 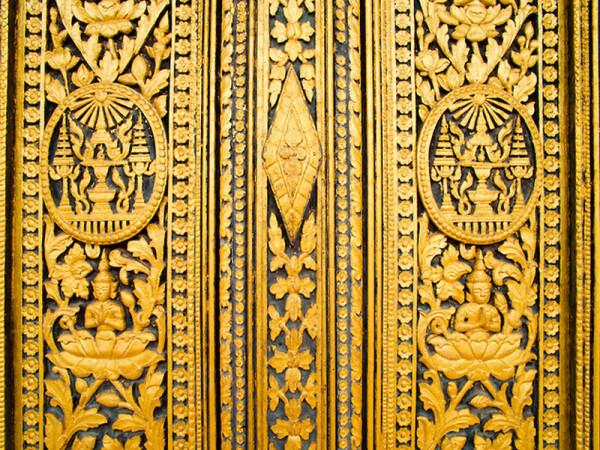 After the Khmer court moved from Angkor in the 15th century after destroyed by Siam, it first settled in Phnom Penh which back then named as Krong Chatomok Serei Mongkol in 1434 (or 1446) and stayed for some decades, but by 1494 had moved on to Basan, and later Longvek and then Oudong.The capital did not return to Phnom Penh until the 19th century and there is no record or remnants of any Royal Palace in Phnom Penh prior to the 19th century. In 1813, King Ang Chan (1796–1834) constructed Banteay Kev (the ‘Crystal Citadel’) on the site of the current Royal Palace and stayed there very briefly before moving to Oudong. Banteay Kev was burned in 1834 when the retreating Siamese army razed Phnom Penh. 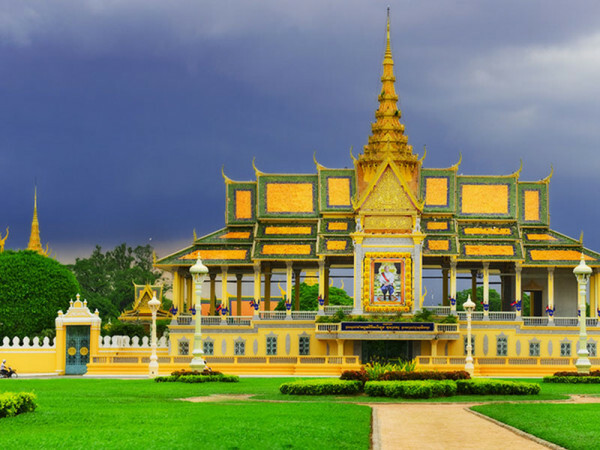 It was not until after the implementation of the French Protectorate in Cambodia in 1863 that the capital was moved from Oudong to Phnom Penh, and the current Royal Palace was founded and constructed.